What's better than a great party with some great people? EASY CLEANUP. So glad I was able to relish in both this last weekend! 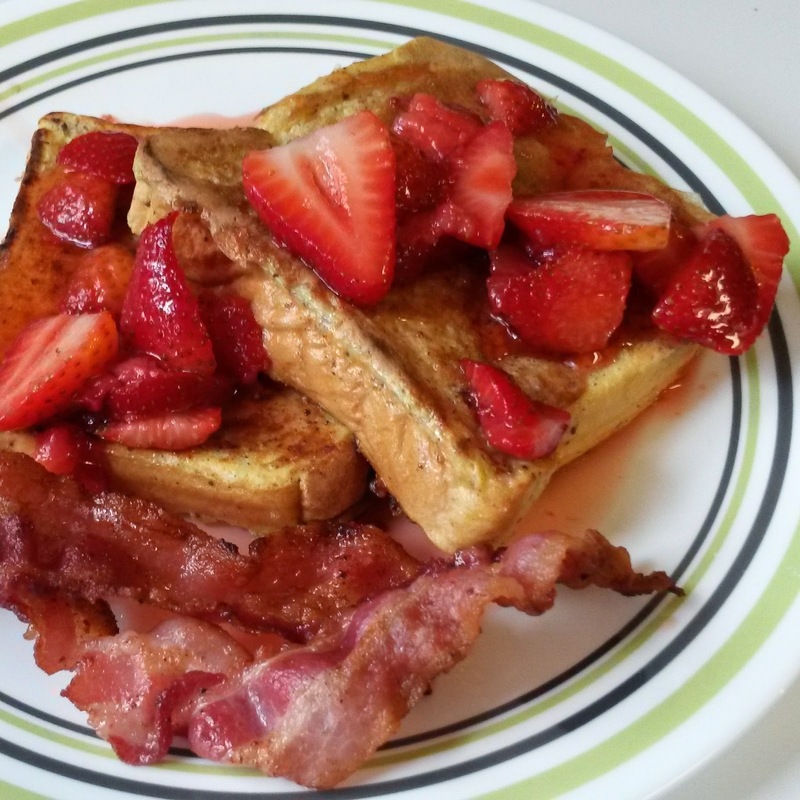 We enjoyed a great "breakfast", French Toast, syrup, home-made strawberry topping, and lots of delicious fruit. Oh, and the brownies! We couldn't forget the brownies! We also couldn't forget the Cascade Platinum either! 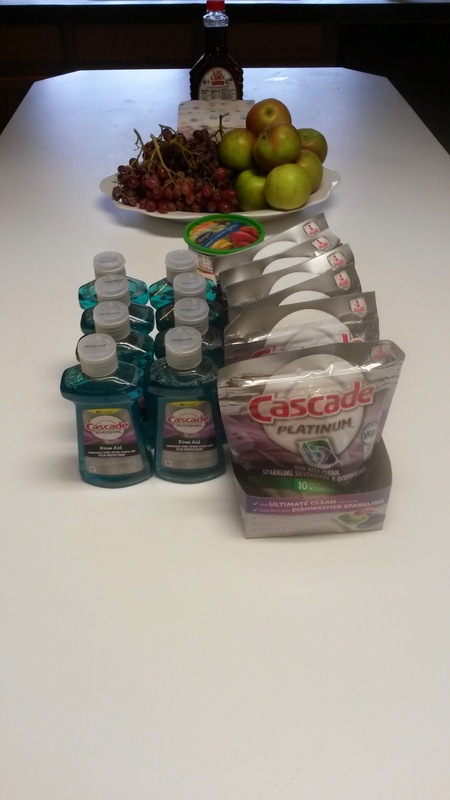 With Cascade Platinum we were able to just place the sticky dishes right into the dishwasher- NO pre-wash/rinsing! 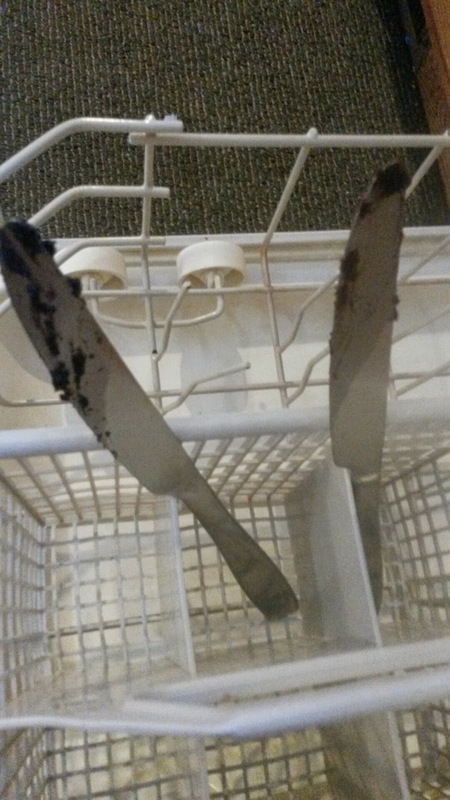 Even those knives that had dried on brownie stuck on came out perfectly clean. It's pretty amazing to see what your dishewasher can do with the right detergent and instructions! What's important? SKIP the prewash! Why? This is because the special enzymes in Cascade Platinum latch onto the leftover food particles, breaking them down so they can wash away - even 24-hour stuck on food like the brownie batter above. With no food particles on the dishes, the enzymes can’t do their job as well! Nearly all dishwashers have a built in garbage disposal, so those left over bits will go down the drain- NOT harming your dishwasher (I do recommend scraping off significant food scraps). Cascade Platinum’s superior technology achieves a clean so powerful it eliminates the need to pre-wash or pre-rinse dishes and even helps keep your dishwasher sparkling. Its advanced triple-action formula has powerful enzymes that break down even 24-hour stuck-on food for Cascade’s best clean and shine. Cascade Platinum is available at mass merchandise outlets, grocery retailers, home improvement stores and e-retail sites throughout the U.S.---- Want to try it now? Well, check out our great giveaway! I am using Finish right now. I'm using Cascade dishwashing detergent right now. I use Honest Co. dishwashing tablets. I typically use Finish but generally it depends on what is on sale. I switch between Finish and Cascade action pacs. I am using Finish right now but also use Cascade.